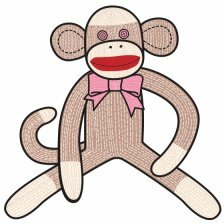 A sock monkey is an iconic toy that almost every child would love to have. To make this toy even more special for a deserving child, one can make their own using a few simple materials. You do not even need to be a very crafty person to create a beautiful toy. 1. Lay one inside out sock with the heel out flat and facing down. Find the center line of the foot from the toe to about an inch from the heel and mark it. Beginning at the toe, sew a seam 1/4" from the center line up the foot and then back down the other side. Carefully cut up the center line, creating the legs. 2. Turn sock right-side out and stuff the entire sock. Use needle and thread to sew around the neck area. Slightly cinch together to create a neck. Finish stuffing the head and sew the top together. 3. Using the second sock cut out pieces for the arms, mouth, tail and ears. The upper part can be cut into to pieces, seamed and stuffed to form the arms. The mouth is created by cutting off the heel and whip-stitching to the face while adding stuffing for shape. The tail is formed from a 1 inch strip with a rounded end. Seam the edges together and stuff. Cut 4 small ear shapes from the remainder of the sock, seam and stuff. 4. Attach the arms, tail and ears to the body. Sew on buttons for the eyes. Because small buttons can be a choking hazard for little children, consider using embroidery thread to stitch eyes when the toy is for a child under the age of 3. A smile can also be embroidered on the mouth. 5. A small hat can be made for the monkey using the toe of the second sock. Simply roll up the cut edge to create a small brim and tack to the monkey's head using a few small stitches. 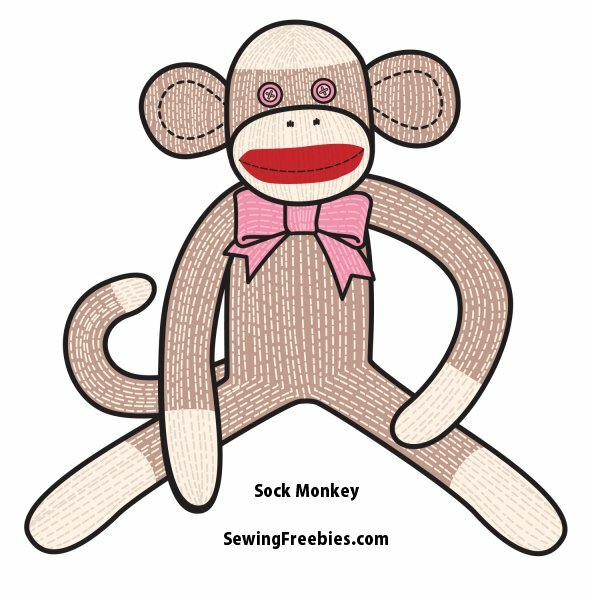 If you would rather use the original red heel socks that most sock monkeys are made from, just do a Google search for "sock monkey socks" and you will find them. Click the image to print.